Donaldson Contracting Ltd. is your dependable source for hauling, turnaround, and cleanout services in southwestern Saskatchewan. We provide safety and quality with our variety of affordable services. Our fleet of vehicles and our equipment is all expertly maintained. Call us today for a bid or quote on an upcoming or current project. Our hydro-excavation services can help you with your site digging without disturbing any underground utility. We can remove large amounts of soil in a short time with our expert technicians. With a wealth of applications, try hydro-excavation on your site today. Donaldson Contracting Ltd.’s vacuum trucks are ready for your jobsite. We can clean out any liquids with our vac trucks. They come with a quad axel pup trailer to carry more of waste materials and to speed up the cleanup process. 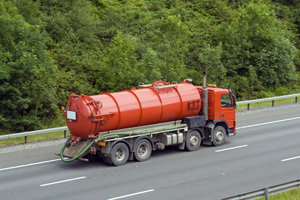 Our semi vacuum trucks are loaded with a high capacity tank to transfer fluids from site to site, haul fluids to disposal, or any other transport you may need. For additional convenience on your site, we also offer the services of our body job vacuum trucks. Available 24/7, our trucks are maintained and tracked with safety and quality in mind. Our pressure trucks offer additional versatility for your pumping needs. Whether you are testing or cleaning on your site, our trucks can be adjusted for flow and levels to make sure you are getting what you need. Our fleet also includes boilers and steamers for cleaning and thawing of your equipment. Our steams can produce wet or dry heat, and our boilers can assist with steaming or high efficiency thawing services. At Donaldson Contracting Ltd., we can provide portable air compressors to your job site. Equipped with an air horn and tools, it is sure to meet all of your compressed air needs. We have combo units for advanced versatility or hard to manage applications. This includes our pressure/steamer unit with an onboard breathing air compressor. We provide water hauling for oil and gas companies across southwest Saskatchewan. Our water trucks can handle any type of water safely and efficiently.